They’re not hand-stamped or issued in perilously endangered runs, nor are they shrouded in mystery or trading hands for criminal sums on Discogs. Though they may not fit into the same mold as many other popular labels of the minute, Hypercolour continue to prove their position in the competitive world of electronic music with a constant stream of quality releases. Now in their seventh year of operation, Hypercolour started out modestly; just a few EPs planned from some friends and a deep love of house music was all that started the label. Owners Alex Jones and Jamie Russell wanted to address a lack of quality music they saw other labels releasing at the time. Rising names like Tom Demac, Kris Wadsworth, and Maya Jane Coles initially helped to earn the label due recognition, while standup EPs from Huxley, George FitzGerald, Groove Armada, Mosca, and Maxxi Soundsystem last year cemented their reputation. In 2008 the label started a digital division, and two years later they launched Losing Suki, an off-shoot label that has seen its own share of success in its relatively short life. With both owners having their fingers in various other pies (Alex is also one half of Dense & Pika), the label count between them currently stands at eight. LWE got in touch with the pair to talk about the rise of the label, fostering their talent and how they tackle the workload that eight different labels gives you. 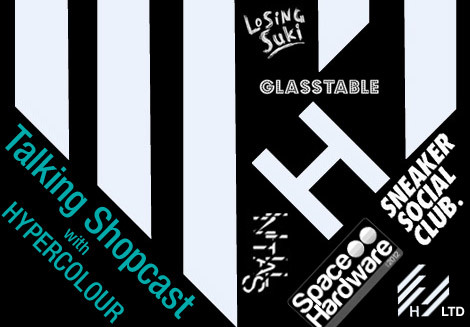 They also put together Talking Shopcast 17, which provides a tantalizing peek at some upcoming Hypercolour and affiliated releases. Jamie: We met through a mutual friend, big Lee Smith. Alex was DJing as part of a duo called The Insurgents. I used to work with Lee in a recruitment office and he used to rave about how good his DJ mates were. I was putting on small parties at the time so eventually was convinced to book Alex after listening to his “Wot Do U You Bench Mix.” I used to get away without paying him usually, as my parties were always badly promoted! Alex: Jamie owes me money come to think of it. You guys started Hypercolour in 2006. In terms of the stuff that you guys were listening to and clubs you were playing at, what was lay of the land at that point? Where did you see yourselves in the market? Jamie: I guess at the time, this was the height of the minimal explosion; Minus and Hawtin were huge, Ricardo was idolized, etc. I was buying records from the likes of Robag Wruhme, DJ Koze, Gabriel Ananda, and Perlon. But also lots of house stuff still from Classic, NRK, etc. Our first record was Glimpse’s Talking To Girls EP which I still think is a great record now. We were lucky to launch the label with Glimpse, he was up there alongside what was going on at the time, his “%” series vinyls were all great records. Had either of you had any experience at labels before? Was it a matter of learning as you went along? Jamie: We had no experience whatsoever, it was really a matter of learning it all as we went along (or not!). Still lots to learn! Alex was a dab hand at graphic design so we knew we had that covered; we both had some loose change to invest in nice remixers and stuff. I think we had a vision, and was 100% keen. There’s a lot to be said about enthusiasm! Alex: Long uphill struggle springs to mind! Glimpse was your first artist that you released. When you put out this release, did you already have a number of others planned? What was the vision for the growth of the label at that time? Jamie: We had the first three EPs planned. Alex did the second EP which featured a Jamie Jones remix (not his best unfortunately, sorry Jamie!). It was enough to get the label noticed though I think. The third EP we put out was from long-term friend, Shenoda. We didn’t have much of a plan beyond that to begin with. And how did that change as you started releasing more? Jamie: Again, we were just making it up as went along. We got introduced to Tom Demac through Chris [Glimpse]. Tom was making deep techno at the time, but it was obvious he knew what he was doing! We got sent a really interesting demo from Sebastien Bouchet who had done a few out there bits on Freak n’ Chic, we had a cool Jens Bond remix on that release. I guess from the off, we always knew it would take us a while to establish ourselves, and our artists. So the choice of remixer was always a great way of drawing attention to the label, and associating yourselves with artists who you may not necessarily be in a position to get some original material from. Choice of remixers is all part of your overall vision I think. 2012 was a big year for you. You released more than you ever had before and added yet another label to your growing list of affiliated musical outlets. Is it just the two of you working on the labels? How do you share the workload? Jamie: Yes, 2012 was a big year for us. I’ll break the labels down for you. Between Alex and myself we run Hypercolour, HypeLTD, Glass Table, and Losing Suki. Alex runs Initials with Ste Roberts and is half of Dense & Pika with Chris Spero. Separately, I run Sneaker Social Club and Space Hardware. The workload share is we all muck in with A&R decisions. Alex is in charge of art direction and does all the graphic design. I deal with press/marketing. We have a network of people around us who help with label management (admin/accounts etc), social media stuff, events and so on. Sneaker Social Club is one of your newer labels. Jamie, which has had some interesting releases. I’m interested to know how the two latest releases came about, the Zoe Zoe and the Neil Landstrumm ones. Jamie: Zoe Zoe was literally a demo that landed into my inbox. It’s a young Lithuanian producer called Mantas Stonkus. We’re looking to put together his next release as we speak. “Church,” for me, was a huge track and one that I played pretty much for the last year or so. Maya also included that on her DJ Kicks comp, which helped push that out there. Neil Landstrumm is someone whose records I have a lot of, early Tresor and Peacefrog stuff, not to forget his albums on Planet Mu. I just contacted him to see what he’s up to, and I’m doing an album with him on Sneaker this year. Exciting stuff! There is a bit of crossover between all the labels the two of you run. Does having so many sub-labels get confusing at all? Is there competition between you on signing certain things to your own labels? Alex: We’re pretty big on figure skating, so any arguments get settled on the ice. I understand Hypercolour was built up around the releases of your friends and peers. What’s the A&R policy as regards the labels at the moment? Are you actively out there searching for new releases or are you inundated with piles of demos to choose from? Jamie: We still try to listen to as much new music as possible, so we’re not missing out on any new and interesting artists breaking through. Quite simply, if we hear something we like from an artist we may approach them to do a 12″, obviously not if they’re signed to x, y, or z. We’re busy enough also, with the stable of artists and friends we’re currently working with. We’ve got some super cool stuff happening this year, albums from Luke Vibert and Solid Groove on Hypercolour amongst many others! As I’m writing these questions I’ve just got another promo from Hypercolour in my email. This is your forthcoming one on Hype Digi Alex with BareSkin. To what extent to you guys foster your signings? Do you try and help the newer ones establish themselves and their sound? Jamie: I’d like to think that we’ve been quite an important part in the recent development of Bareskin & J.Wiltshire in particular. Both have been sending me music for some time now, and we heard enough in what they sent us, to strike up a relationship, and I’ve been inadvertently advising/guiding them for the last year or so. Their style has changed in the last year and I have certainly seen this change. It’s mad inviting these lads to their first ever club event, or festival and then receiving amazing music, which was clearly inspired by their recent clubbing experiences. I’ve got high hopes for both Josh (Bareskin) & J.Wiltshire, who are also in a band called Wire People. The band is making some incredible, standout music right now. I’m pretty certain they will be BIG. You’ve experienced some great successes on the labels. What releases or moments are you most happy with/proud of? Jamie: All of last year I guess. Hard to pick out one or a few moments. Putting out back to back bombs in Tom Demac’s Critical Distance and Maxxi Soundsystem’s Regrets We Have No Use For was quite a statement I think. Releasing records from our heroes, Groove Armada. Getting the best label award from DJ Mag. That was a tangible way of showing my parents that I wasn’t just a dosser!! Alex: Yeah, Tom’s Critical Distance was my fave thing we put out last year. An instant classic; he’s a super talented guy and he doesn’t take himself too seriously which makes him even better in my opinion. You can expect to hear some big things from him later in the year. And what has been the hardest part of running the labels or the biggest obstacle you’ve faced? Jamie: Hardest part is trying to keep everybody happy! Alex: For me it’s Jamie. Jamie are you going to be releasing as well or do you stick to the DJing? Jamie: Who knows? Maybe one day. Right now I don’t have enough hours in the day to relax and do nothing, let alone play around with music software. It’s all I’ve ever wanted to do, to be honest. So I’m sure one day I will write that tune, then my work will be done. I love DJing though, and always get a kick out of it, so I don’t feel like I’m missing out. Alex: I’ve offered him on countless occasions to work in the studio together. I think before the year is out I’ll make sure we see his name on a record. You guys recently started doing a weekly show on Rinse FM. Playing on the radio is very different to playing in the club, how are you enjoying it? Jamie: It’s great fun, and I think we’re falling into it quite comfortably. We take it in turns now to do a show, as we both have different styles of presenting. But yeah, you get to play all those records you might not get to play in a club. 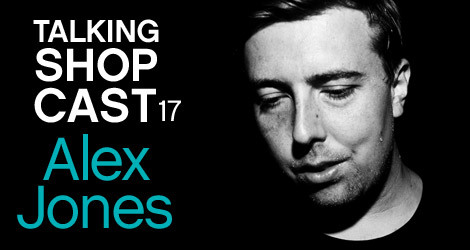 Or if you’re Alex you just pump out techno at 3pm on a Sunday afternoon, same as he probably did the night before! It seems quite natural that you have a show on Rinse as the labels represent that large crossover area between house, garage, techno and a lot of other genres. Where you see yourselves within all of that? Jamie: I always saw us as a good fit for Rinse; I kind of knew we’d get a show at some point if we continued to put out a high quality of releases, they couldn’t ignore us I thought. We are very UK in terms of our wide appeal with the different labels. As DJs we’ve been playing a broad cross section of styles, which includes lots of the labels Rinse have on board, Hessle, Numbers, Swamp 81 etc. I see us as a good fit amongst all those labels, perhaps representing the housier side of things though? With your many different outlets for music, what can we expect (perhaps more fair to ask what can’t we expect) from Hypercolour and its many branches over the next year? Jamie: As mentioned, it will be our first foray into albums this year on Hypercolour. So we’ve got Luke Vibert and Solid Groove lined up so far. Singles from West Norwood Cassette Library, Tom Demac, Eliphino, Shenoda, Bareskin, Alex Jones, JoeFarr, Braille (on Glass Table), Trikk, and many more. On Sneaker Social Club, an album from Landstrumm, an EP from Bass Clef, and a label comp after the summer. Space Hardware has EPs lined up from Blacksmif (with a Dexter remix) and Zoe Zoe. Alex: And on Initials we’ve got a new EP from Blue & Green (Bareskin & J.Wiltshire), some stuff from me, and a collab between Will Azada and Ste Roberts. fabulous selection and mixing! repeat. That Dense & Pika remix is great. Really enjoying this mix. Hands down the best mix I’ve heard in 2013. Boy toy track is huge, cravings for 10 hours of hard techno. Thanks guys, we’ll add that in.